What Does Mitigating Your Damages Mean? As the injured person, you should act reasonably in dealing with the consequences of your injuries. If you do nothing to help yourself, the defendant will argue that he/she should not have to pay all of your damages. If your case goes before a court or jury, they legally have to consider whether you could have avoided some of your damages by acting in a more reasonable way. If your Orange County accident attorneys are negotiating on your behalf with an insurance company, their job is a lot harder if they cannot show that you are trying to help yourself recover, physically and financially. Just How Much Do You Have To Do To Reduce Your Damages? As the injured person, you have an obligation to act in a way that most people would act in a similar situation. This could mean seeking medical treatment, or it could mean looking for a new job. It could even mean looking for a job that is totally different from your previous job, especially if your injuries prevent you from doing your old job. Our Orange County accident attorneys can give you more personalized examples of what would be considered “reasonable” during your initial consultation. 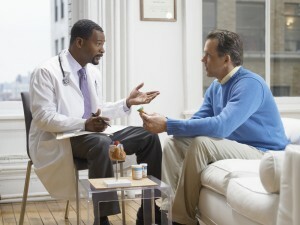 When Can You Choose Not To Seek Treatment? For many people, even if their doctor has recommended surgery as the best way to treat an injury, they may refuse surgery. Sometimes this decision is faith-based, and sometimes it is just a personal preference not to take on that risk. Depending on your circumstances, the decision not to seek certain treatments such as surgery may result in you being unable to recover damages for the aspects of your injury that could have potentially been significantly lessened or avoided al ltogether by surgery or other treatment. If the risk of death or further injury is too great and a reasonable person would choose to live with the injury, you could make that choice and still be compensated for your damages. If you or a loved one has been injured in an accident, call Russell & Lazarus APC, Orange County accident attorneys, at (949) 851-0222.